On Track Innovations has announced the filing of a lawsuit against T-Mobile USA alleging T-Mobile sells NFC-equipped smartphones that violate OTI’s patents. The lawsuit was filed in the Southern District of New York and claims T-Mobile infringes on OTI U.S. Patent No. 6,045,043. OTI did not say if it was seeking damages or a licensing agreement with T-Mobile USA. T-Mobile has not yet responded to the lawsuit. It’s because all of the carriers are like “LOL hey let’s make ISIS even though Google Wallet is being released in like no time. This way when people use ISIS we’ll get more moniez.” So Sprint got Google Wallet, and the rest of us sit here and hate the carriers. That said, my Nexus S can use it on T-Mobile, and theoretically any Galaxy Nexus can get it (though anyone not on a NS4G on Sprint can’t get any support if something goes wrong). If you root, you may be able to use it on your SGS2, but I haven’t looked into it. Ditto for the NFC chip in my Amaze 4G…totally useless. Maybe in 6+ months when ICS rolls out “soon”, there will be a practical use for NFC. I use NFC in my GSII to run tasks that I upload onto NFC stickers. You can write a tag to open a website, start an app, change a handful of settings on my phone all at once, and some other stuff. I wouldn’t call it dead tech in the phone. Pretty much the same outcome for the NFC packing Astound. At least Nokia has made NFC apps available. More likely, OTI thinks they can get more money from T-mobile. Its kinda like that old lady that walked into the glass door at an apple store the other day and broke her nose. She decided to sue apple for $1,000,000 for her medical bills and negligence. If she walked into the sliding glass door at her neighbor’s house and broke her nose, she would probably walk home feeling stupid and wouldn’t bother the neighbor. Maybe the manufacturer of the phone/nfc device doesn’t have as deep pockets as T-mobile. We really need a new law that you can only sue the maker of a product for patent violations. This is just down right ridiculous. So why are manufacturers building these devices with this patented technology but not ponying up some licensing fee’s?? I have that phone for many years and relpaced it withj a G1!!!! That is the EXACT phone (Same Color and All) that I came off of to upgrade to the HD2. Worst mistake in my mobile history. That Nokia 3220 lasted me for YEARS, no dropped calls, Signal wasn’t super strong (meaning couldn’t get strong signals in buildings), I could receive all my incoming calls (this HD2 is rejecting my incoming calls and sending them straight to voicemail), camera was ok (but never locked up my phone like the HD2 does and didn’t have recording frameskip and freeze ups), and most of all, that Nokia 3220 is STILL much much much more DURABLE than this HD2. The ONLY reason I upgraded to the HD2 was because my Nokia 3220 FINALLY started to give way after YEARS of use. Sure you can’t Custom Rom the 3220 but I’d rather have a working phone than a fully customizable one. It might be useful to explain to newbies what “NFC” is, eh? NFC = “Near Field Communication.” It allows encrypted and secure communication between mobile devices, such as encrypted data exchange. But where the BIG use will be is mobile payments. 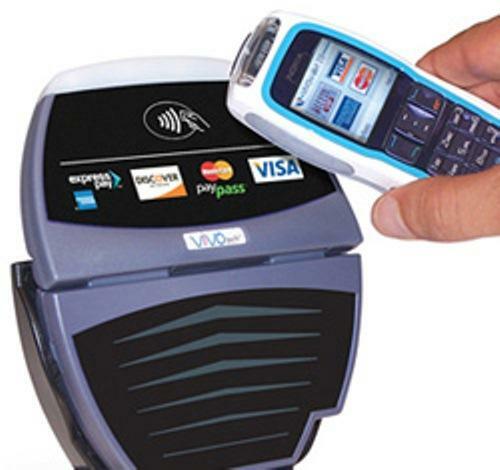 With NFC-enabled handsets you can use your phone to pay for anything and everything, that is, instead of a debit card. Your phone acts as a “virtual wallet” (my term) and you simply wave your phone in front of an NFC reader at Starbucks, for example, and quickly pay for your coffee. NFC will eventually replace mobile phone banking, your handset holding your “credits” from banks, paychecks, and even PayPal payments from eBay. Also on the out will be paper checks, ATM cards, and credit cards. Give it about 10 to 15 years and phones will replace cash, to where we become a cashless society. Off the record and/or underground business transactions will always ensure that cash will exist. Also, people who choose to live without a mobile phone or those in poverty and unable to afford one pose a problem to the proposal of your “cashless society” by way of mobile phones. the transit system in my left coast county has installed a nfc system in every bus. similar to the clipper card system in SF i guess.